Download Free Galaxy Note 8 Mockup PSD. 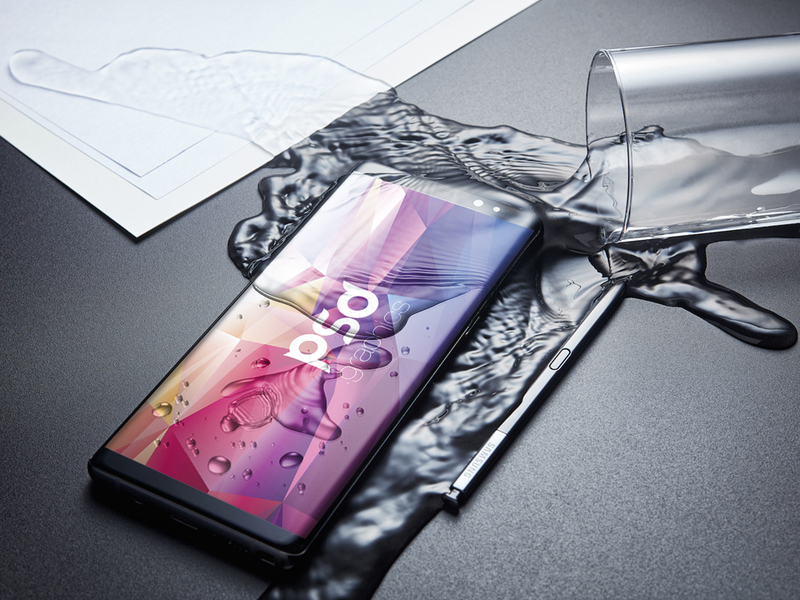 This Free mockup PSD showcases new Samsung Galaxy Note 8 on a wooden desk and water spilled accidentally on the Mobile Phone. Showcase the screenshots of their new apps with minimum efforts, just replace the smart object with your desired project. Nice mockup created by PSD Graphics.